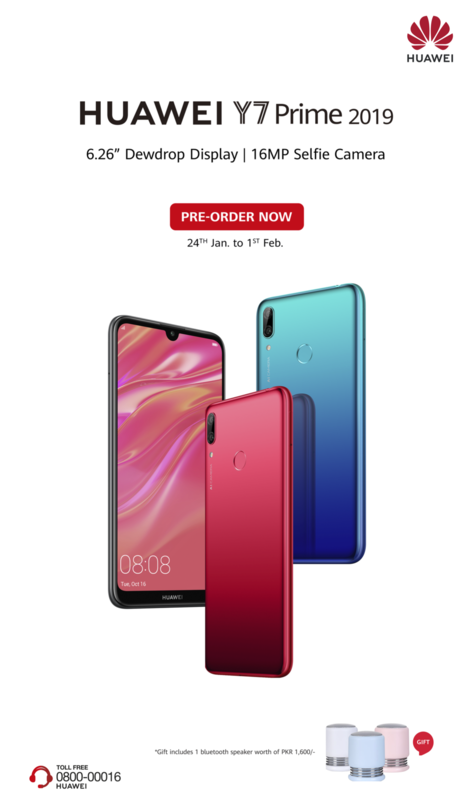 Huawei has begun this year by re-imagining its bestselling Y Series and announcing pre-orders for the HUAWEI Y7 Prime 2019. The much-awaited device, builds on the flagship attributes of its predecessor HUAWEI Y7 Prime 2018 that became a category leader at its debut. This year’s variant is fully loaded with cutting-edge technology all through its design, display, speed and camera. It promises a complete flagship experience that outdoes all other entry-level smartphones on the market. Building up on its vibrant features, the HUAWEI Y7 Prime 2019 calls upon youngsters with its exquisite design. 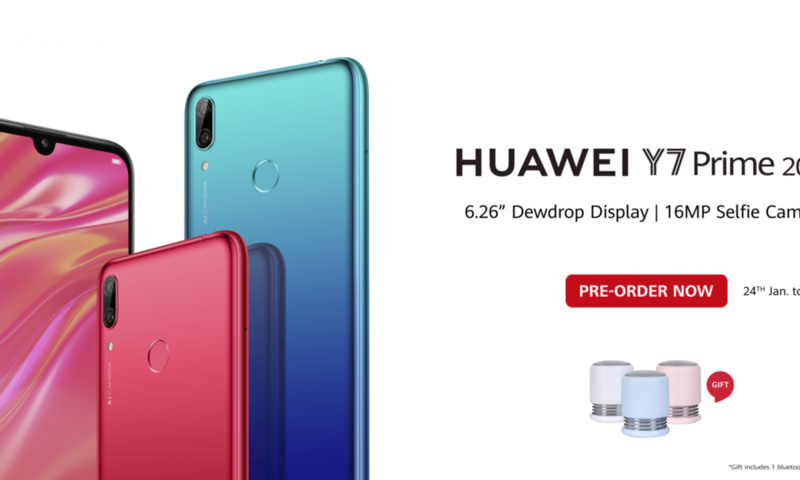 It sports a 6.26-inch HUAWEI FullView Display with a dewdrop notch which maximizes the screen-to-body ratio. It gives a truly immersive experience with a FHD+ screen and vivid colors. The HUAWEI Y7 Prime 2019 is also a treat for people living life on-the-go with a 4,000 mAh battery that goes on for two days*. Huawei’s EMUI 8.2 gives an adaptive experience, while it also helps extend battery life. A power-packed Qualcomm Octa-Core SoC and an Adreno 506 GPU with Vulkan support makes the smartphone superfast during intense gaming sessions topped off by a 3GB RAM. A 32GB internal storage can be expanded to 512GB with a microSD card.